For as long as I can remember, Friday evenings in our house have always been a bit special. I'm not really sure why as I work from home, Jon is a stay at home Dad and the boys are not in school - so it's not as though the weekend signals any sort of real change in routine for us, but I think it's nice to have a dedicated evening for "Family Time". Modern life is so busy that things can get in the way of this far too often, and despite our best intentions we quite often find that for one reason or another - only one of us is eating with the boys of an evening, or we're all sat in the same room together but engrossed in different activities - so I like to make sure that for at least one night a week, we make a conscious effort to switch all electronic devices off and spend some proper family time together. It's nothing very fancy - we usually choose from either a Family Games Night which consists of getting out a selection of our board games to spend the evening playing together while enjoying some yummy snacks, or we go for Movie Night where we all cuddle up under one big blanket on the sofa and watch a film...armed again with popcorn and snacks of course! No matter which we choose, one thing is always the same - and that is our dinner of choice - pizza! It's ALWAYS Pizza night on Fridays at our house! We used to opt for the take out variety but it started to get a little to expensive in all honesty and so we decided to try to bring the cost down - and so we took ourselves to the freezer aisle of our local Asda supermarket and picked ourselves up some frozen ones instead! Now my partner Jon is a little bit odd when it comes to pizza, and doesn't like the usual standard tomato bases - he often finds himself without many alternatives and often requests his take out pizzas with a BBQ base or no base at all, but we recently found an alternative for him from Dr Oetker. 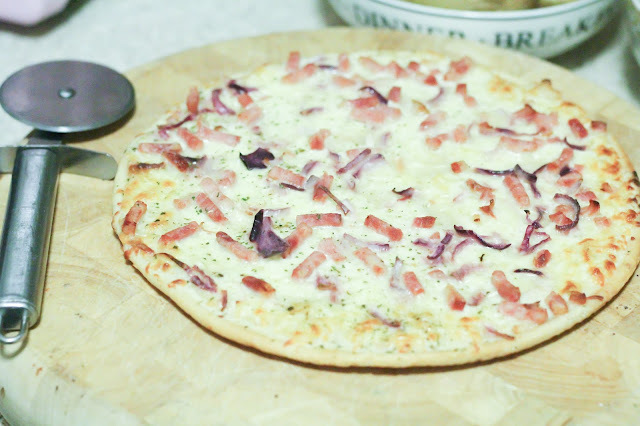 The Dr Oetker Ristorante range have launched a new limited edition pizza called the Bianca Deliciosa - a thin and crispy pizza topped with a creamy white sauce along with mozzarella and edam cheeses, red onion and delicious bacon. The pizza is so light and crisp, and deliciously moreish whilst still managing to be satisfying - I often find that pizza can leave me feeling very bloated but I don't have this problem with the Ristorante range at all. The smooth creamy white sauce along with the onions and delicate bacon work perfectly together, and Jon has found himself in pizza heaven at last! At only £3.19 RRP (though we actually found them cheaper recently in Asda) they don't break the bank either and have been not only a much more wallet-friendly version of our Friday night favourite, but also just as delicious...if not more so! 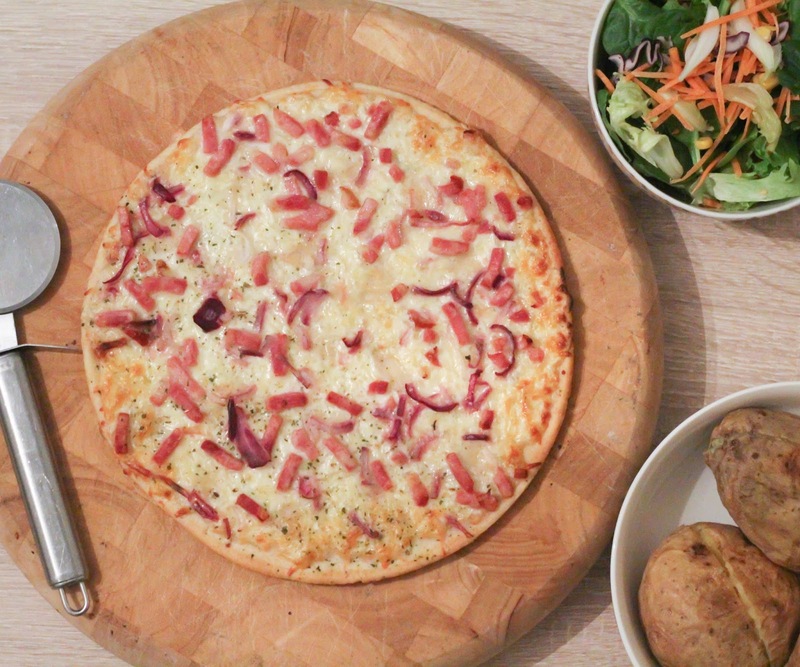 You can find the Bianca Deliciosa along with the rest of the Ristorante pizza range from Dr Oetker in Asda, Sainsburys and Ocado - but be sure to try it soon, as it is Limited Edition! You can also visit www.pizzaristorante.co.uk to find out more.